Do You Know Which of the 4 Southwest Credit Cards Are Best for You? I’ve written a lot about the Southwest 50,000 point cards and why this is the best time to get the cards, especially if you want to earn a Companion Pass. And why it is the #1 offer in my Hot Deals tab. All 4 versions of the Southwest credit cards currently offer 50,000 Southwest points after spending $2,000 within 3 months. Readers often ask about the difference between the Southwest cards and which of the cards they should get. We Earned the Companion Pass Thanks to Southwest Credit Cards and Now Emily Flies With Me for Free (~$10 in taxes & fees)! The 50,000 point offer is only available for a limited time. But it’s usually offered every 3 to 4 months. Emily and I LUV our Southwest Companion Pass! It is one of the best ways for folks to save money on airline tickets for travel within the US and the Caribbean beginning July 1, 2014. Why? Because a companion can fly with you for free whenever you fly on Southwest. And it doesn’t matter if you pay for your flight with points or cash – your companion flies free (~$10 in taxes and fees) either way! You have to earn 110,000 Companion Pass qualifying points within 1 calendar year (January 1st to December 31st) to get the Companion Pass. The 50,000 point bonus from the Southwest credit cards count towards the Companion Pass, so it’s very easy to earn the Southwest Companion Pass! And Southwest has clarified that the 50,000 point sign-up bonus does count towards the Southwest Companion Pass. Just be sure you don’t make these 3 mistakes that could cost you the Companion Pass. 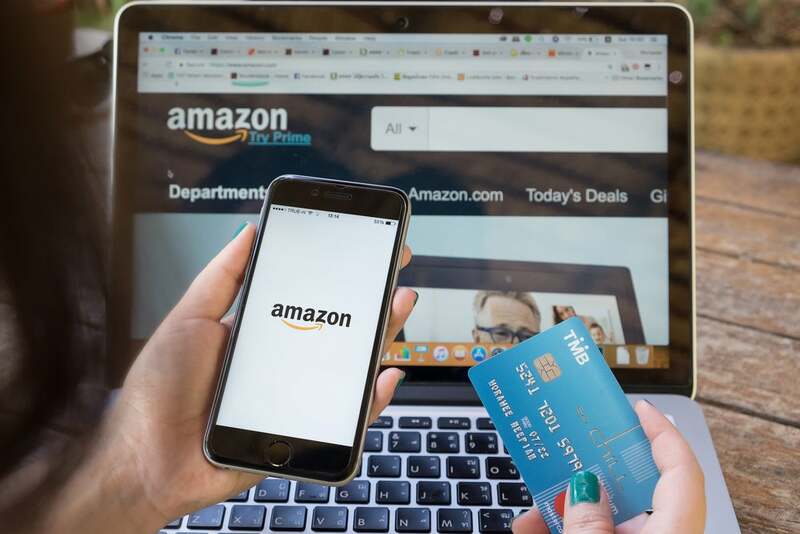 Premier Cards vs. Plus Cards – What’s the Difference? 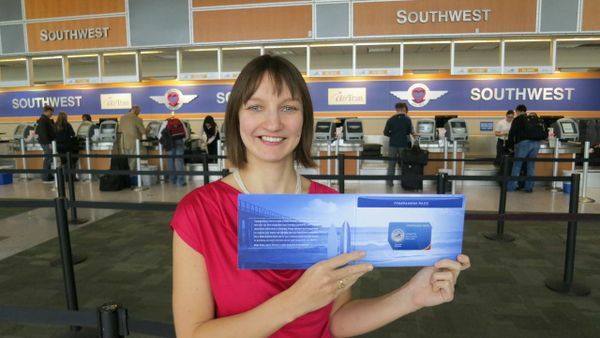 There are 4 versions of the Southwest card. The Southwest Premier personal card & the Southwest Plus personal card both offer 50,000 Southwest points when you spend $2,000 within 3 months. Here’s a table on the differences between the 2 versions. The annual fee is NOT waived for the 1st year on either the Plus or Premier version of the Southwest credit card. With the Southwest Premier card you will pay a $99 annual fee. You will pay a lower annual fee of $69 with the Southwest Plus card. But the extra $30 in annual fees for the Southwest Premier card could be worth it because you’ll avoid foreign transaction fees and get an anniversary bonus of Southwest points which almost makes up for the annual fee. The Southwest Premier card has no foreign transaction fees is on the list of no foreign transaction fees cards. 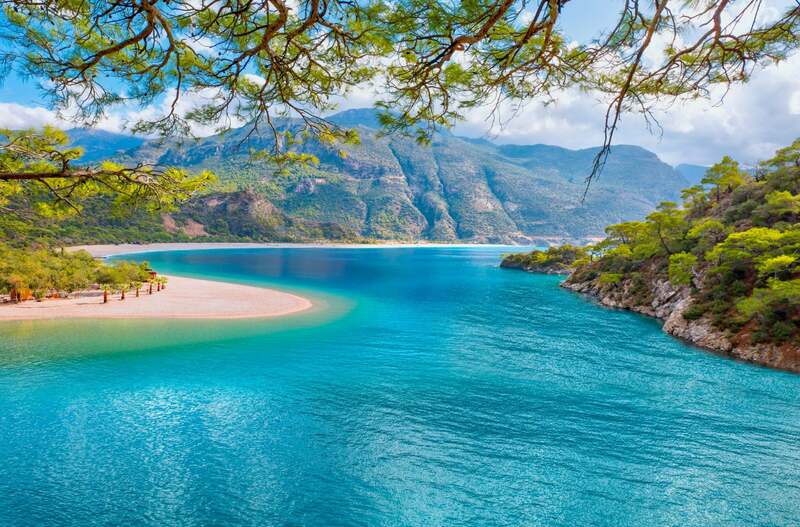 That said, I’d rather put my spending on other no foreign transaction fee cards such as the Chase Sapphire Preferred because I like the flexibility of being able to transfer points to different airlines and hotels (including Southwest), when I want to. 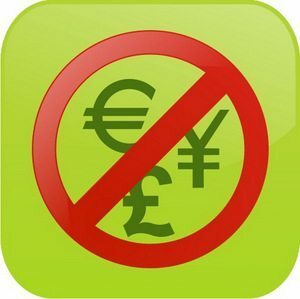 Just Say No to Foreign Transaction Fees! You will pay a 3% foreign transaction fees on the Southwest Plus card. So leave the Plus card at home when traveling! You get bonus points each year you keep your Southwest card. The Premier version gets you 6,000 bonus points every year, while the Plus version gets you 3,000 bonus points. 6,000 points gets you ~$100 (6,000 Southwest points x 1.67 cents per point) in Southwest flights if redeemed before March 31, 2014 and ~$85 (6,000 Southwest points x 1.42 cents per point) when redeemed after March 31, 2014. The Premier cards have an annual fee is $99, so the effective annual fee is quite low. 3,000 Southwest points gets you ~$50 (3,000 Southwest points x 1.67 cents per point) in free flights before March 31, 2014 and ~$43 (3,000 Southwest points x 1.42 cents per point) after March 31, 2014. But the annual fee is $69. Paying $30 more in annual fees for the Premier version to get 2X the amount of points when you pay each year’s annual fee is worth it to me. If you don’t plan on keeping the card beyond 1 year and the other benefits of the Premier card don’t interest you, the Plus cards could make more sense. But do what makes sense for you! You can earn A-List qualifying points (Tier Qualifying Points) from spending on the Southwest Premier cards but NOT on the Plus cards. 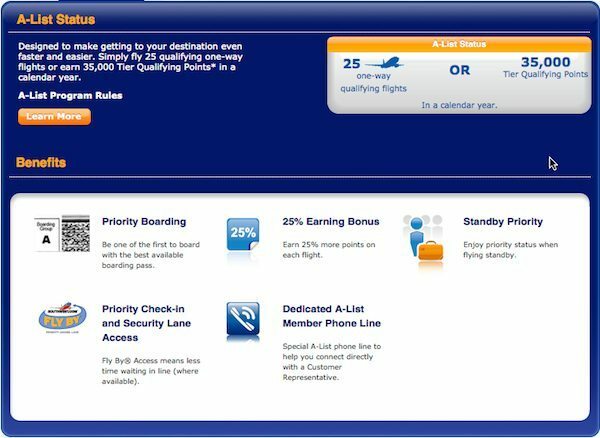 These Southwest Tier Qualifying Points count towards A-List and A-List Preferred (top tier) elite status on Southwest. You get A-List status after you’ve flown 25 one-way paid flights on Southwest or earn 35,000 A-List qualifying points in a calendar year. To become an A-List Preferred member you have to fly 50 one-way paid flights on Southwest or earn 70,000 A-List qualifying points in a calendar year. The 50,000 point sign-up bonus does NOT count towards A-List or A-List Preferred status! You earn 1,500 A-List qualifying points (up to 15,000 per year) for every $10,000 you spend on the Premier card. So you’d have to spend $100,000 to earn 15,000 A-List qualifying points, and then earn the remaining 20,000 Southwest points by flying. But if you’re a Big Spender, that could be worth it. But for most folks, this isn’t worth it. Priority security lane access (where available). As an A-List Preferred member you get free Wi-Fi so you can work (or play on Facebook and Twitter) while you fly! You currently get 50,000 points on the Southwest credit cards. The Southwest Premier card gets you more benefits such as a higher anniversary bonus, tier qualifying points, and no foreign transaction fees. But you pay a higher annual fee of $99. The Southwest Plus card has a lower annual fee of only $69, but you get a smaller anniversary bonus and you’ll pay foreign transaction fees. Emily and I LUV our Southwest Companion Pass! We use it all the time and think it’s the best deal for travel within the US and the Caribbean starting July 1, 2014. Now’s among the best time to apply for any of the Southwest credit cards because all 4 versions offer a 50,000 point sign-up bonus which currently counts towards the Companion Pass. 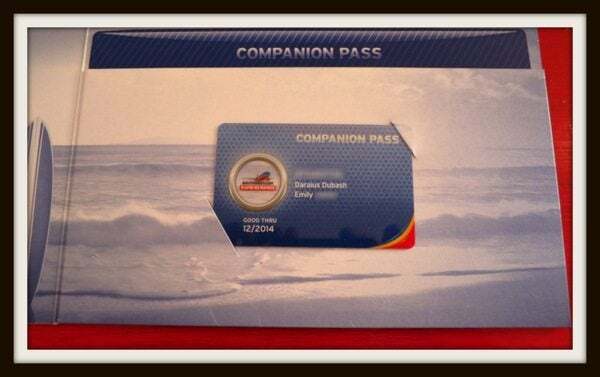 And if you earn the companion pass in 2014, it is valid until the end of 2015. But I wouldn’t worry about missing the offer, because I’m pretty sure that the 50,000 point offer will back again. What is considered a Companion Pass Qualifying Purchase? Aside from 50K points per approved CC, does the purchase have to be a travel or flight related purchase? Can it be a regular day to day purchase to fill up the other 10K points needed? I have called Southwest multiple times to check and they said that whether the ‘current offer’ is 25,000 points ($1000 spent) or 50,000 points ($2000 spent), you can get the 50,000 if you spend $2000, you just have to call and request it. So basically, no need to wait around until the 50,000 is offered, just apply and call once you spend $2000 and you will get the 50,000! How do you know that the card will qualify for the companion pass? When you blogged about this last fall, I waited as I had gotten a 50,000 miles bonus offer in the mail. However, when I called I was told that I could get a card with 50,000 bonus miles but it would not qualify for the companion pass. Today, when I clicked on from you site for the card, I did not see anything indicating the card would qualify. Also, thank you for your continue posting on the SW cards as not all of us are savvy travelers and are still learning. @connie – The sign-up bonus from all 4 versions currently counts towards the Southwest Companion Pass. I should also add, can you have 2 business cards with Chase associated with the same business? Is there something I can tell them that will let me do that? @TJ N – You can get approved for 2 Chase business cards for the same business.